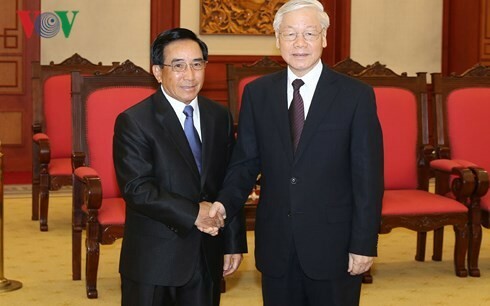 (VOVWORLD) -Party leader Nguyen Phu Trong received Laotian Vice President Phankham Viphavanh who is in Hanoi to pay tribute to President Tran Dai Quang. The Party leader thanked the Laotian Party, State, National Assembly, Government, and Front for National Construction for sending condolences. 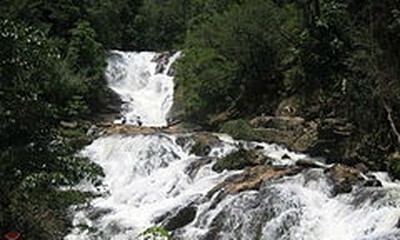 He spoke highly of Laos' dedicating two days of national mourning to reflect special solidarity between the two countries. Mr. Trong pledged to promote bilateral solidarity for peace, stability, cooperation and development.